Osorio, N.W. and M. Habte. 2013. Synergistic effect of a phosphate solubilizing fungus and an arbuscular mycorrhizal fungus on Leucaena leucocephala in an oxisol fertilized with rock phosphate. Botany:10, In press. Habte, M. and N. W. Osorio. 2012. Effect of Nitrogen Form on the Effectiveness of a phosphate-solubilizing fungus to dissolve rock phosphate. J Biofertil. Biopestici. 2012, 3:1-4. Kawamoto, I. and M. Habte. 2011. Enhancement of arbuscular mycorrhizal fungus status of an established ginger crop through a mycorrhizal onion companion crop. Soil Sci. Plant Nutr. 57:659-662. Habte, M., G. Diarra, and P.G. Scowcroft. 2011. 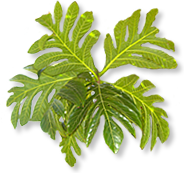 Post-transplant reactions of mycorrhizal and mycorrhiza-free seedlings of Leucaena leucocephala to pH changes in an Oxisol and Ultisol of Hawaii. Botany 89:1-9. Habte, M. And M. Antal. 2010. Reaction of mycorrhizal and nonmycorrhizal Leucaena leucocephala to charcoal amendment of mansand and Soil. Communications in Soil Science and Plant Analysis, 41:540-552. 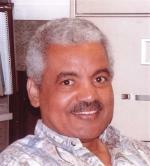 Habte, M. 2006. Arbuscular mycorrhizas in plant and soil health. In: Uphoff et al. (Eds) Biological Approaches to Sustainable Soil systems. CRC Press, Boca Raton FL. Habte, M. and D. P Schmitt. 2005. Antagonsistic interaction between plant parasitic nematodes and arbuscular mycorrhizal fungi, pp.183-203. In: V.S. Mehrota (ed. ), Allied Publishers Pvt. Ltd. New Delhi. Knowledge on arbuscular mycorrhizal symbiosis has increased geometrically over the past 60 years, and this has created tremendous awareness on the important roles arbuscular mycorrhizal (AM) fungi play in the nutrition and health of associated plants and on soil quality. Consequently, there has been a considerable interest to integrate the management of the fungi into practical agriculture and forestry. However, the results of field application arbuscular mycorrhizal fungi in Hawaii and elsewhere have tended to be unpredictable. The causes of this unpredictability are not known. We propose to bridge this gap in knowledge through a better understanding of the key variables regulating the activities of arbuscular mycorrhizal fungi in the rhizosphere of associated plants. Our focus will be on the impacts of the quality and quantity of indigenous AM fungi, the effects of grazing of AM hyphae by soil micro-arthropods, and the influence of land use history. The results will enable us to manage the variables for enhanced mutualistic activity of the fungi and to more carefully determine the conditions under which we can utilize the fungi with more predictable efficacy. The project is concerned with refining the approach for determining the mycorrhizal dependency of plant species with the aim of increasing the speed and the accuracy with which it can be determined. It is also concerned with developing an approach for producing mycorrhizal seedlings that will work for plants across all categories of mycorrhizal dependency. Both efforts will contribute to the use of the arbuscular mycorrhizal technology in practical horticulture with predictable efficacy in Hawaii and other parts of the world . The role arbuscular mycorrhizal fungi (AMF) play in the nutrition and health of associated host plants and in the maintenance of soil quality has been repeatedly demonstrated over the past four decades. And this has been the case for vegetable crops and tree species in Hawaii. However, the results of field application of AMF in Hawaii and elsewhere have often been fraught with unpredictability. The sources of this unpredictability are not clearly known. In the proposed research we intend to bridge some of this critical knowledge gap through a better understanding of the variables regulating the mycorrhizal dependence of host plants and through optimization of conditions in the nursery for the production of robust seedlings well colonized by AMF.